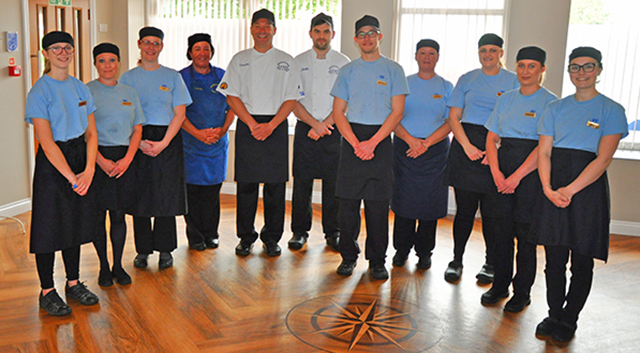 At the heart of Whitehead's success are our friendly, well turned out staff, who train and work together to deliver prompt, professional service, good presentation and the highest hygiene standard that daily wins praise from customers. As our business and reputation continues to grow The Whiteheads Team are always on the look out for additional part time front of house staff for our busy restaurant and takeaway. We are looking for people who are confident, with an outgoing personality, who enjoy meeting people and are keen to develop their hospitality skills as part of a professional, friendly, award-winning team. The Whiteheads Fish & Chips restaurant and takeaway has a firm following which is not only built on serving the finest-tasting fish & chips: Service Excellence every time is also a key part of our customer promise. So if you are within easy reach of Hornsea and you would like to work with us we would be pleased to hear from you. Whilst experience is beneficial it is not essential as full training will be provided. As an ambassador for the Whiteheads brand we look for enthusiasm, a can-do attitude, energy and commitment. To find out more please call 01964 536954 for a chat or send your CV and covering letter to: Whitehead's Fish & Chips, 6 The Greenway, Hornsea, East Yorkshire, HU18 1SL.